London Wasps | "It's Only Nuts & Bolts"
On Sunday 18th May I was back at Adams Park for the first time in a while, and the last time this season, to see London Wasps hang on to secure a 30-29 win over Stade Francais to be in the driving seat of the the two leg play off for the final place in next seasons new European Champions Cup competition. It was was an amazing game which could have seen Wasps finish with a commanding lead, but for the French team not giving up and fighting hard to get back into the game. The weather was perfect as was the atmosphere around the ground. 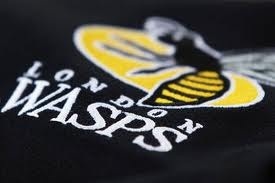 Today, Saturday 24th May, London Wasps produced an almost perfect performance to seal there place with a 6-20 win away in Paris. An aggregate score of 35-50! Back at the beginning of March I wrote a blog talking about my team, London Wasps, and how the season was over as far as my attending live games was concerned. That was unless we reached the European Challenge (Amlin) Cup Final or the Premiership play-off’s. 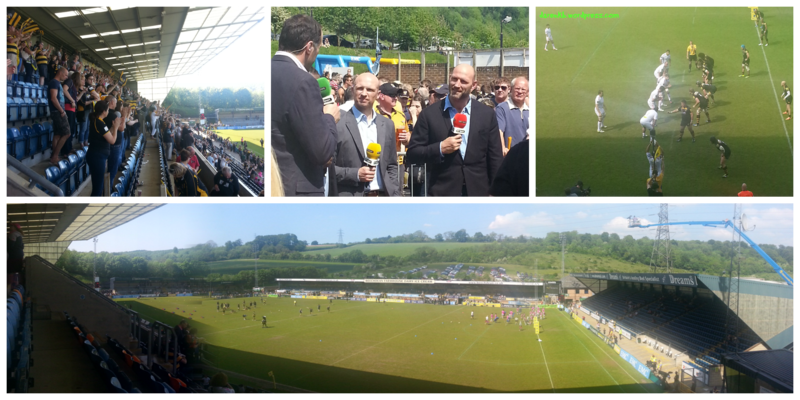 Unfortunately we didn’t beat Bath in the Amlin semi-final going down 18 – 24. The Premiership play-off’s require a top four finish; we managed a respectable 7th. And so that was it. Season over! The principle European club competition, the Heineken Cup, has been under pressure for some time due to the entry allocation and the general way it has been organised. This got so bad that all the Premiership teams, along with the French, had resigned from the competition completely and were in the process of setting up something themselves. Finally the issues were resolved and a new, replacement, European club competition format agreed – The European Rugby Champions Cup was born. Now all this is very interesting but what has it got to do with this season? Well let me explain …. In the new competition the first 6 placed teams go through automatically, same as previously, but this year the team in 7th place in both the Premiership and Ligue Nationale de Rugby (French union) play-off to decide who will take the 20th and final place in the new competition. The upshot of all this is that I get to see my favourite team run out at Adams Park one last time this season which is a great bonus for me.